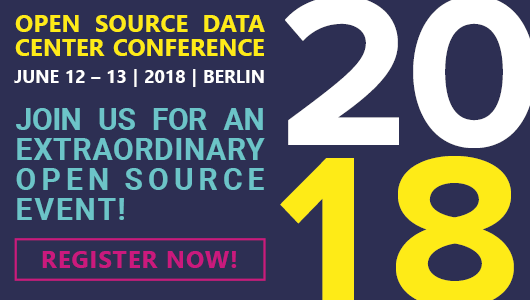 OSDC 2018 – Get ready for Berlin! Expect exciting discussions, an intensive exchange of experiences, inspiring encounters and great networking opportunities! Spend two extraordinary summer days in Berlin, the capital of OS data center solutions! Check the 2018 conference agenda. And get an update on the OSDC speakers line-up! OSDC is about catching up on the latest developments and initiating forward-looking projects. Meet developers, decision-makers, administrators, architects and of course the unique OS community. Benefit from the comprehensive experience of international OS experts and engage with a wide range of industry leaders. We will kick off the conference with an informal get-together on the evening of June 11. The two-day lecture-program on June 12 and 13 is composed of presentations on the latest research, findings and fresh approaches. Get updated on the latest developments in OS data center solutions and add on to your knowledge learning from Open Source enthusiasts from all over the world. We are especially looking forward to the evening event on June 12. Enjoy dinner and drinks at PURO and enjoy the spectacular view over Berlin from the 20th floor. Take the opportunity to exchange experiences, pick up some new ideas and socialize with the community! Have a cool time full of exciting discussions and inspiring encounters — GET YOUR TICKET NOW! See you in Berlin on June 12 to 13!